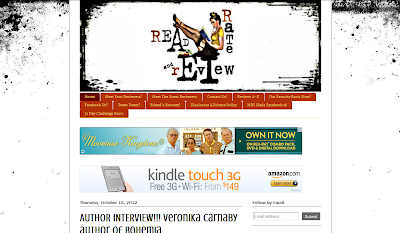 Jaime Neally of Read, Rate, & Review recently conducted an interview with Veronika Carnaby, where they discussed her new book, Bohemia. Accompanying the interview is a favorable review of the novel, in which Neally recaps "the adventures of a twenty-something and all the experiences she goes through at this young age". 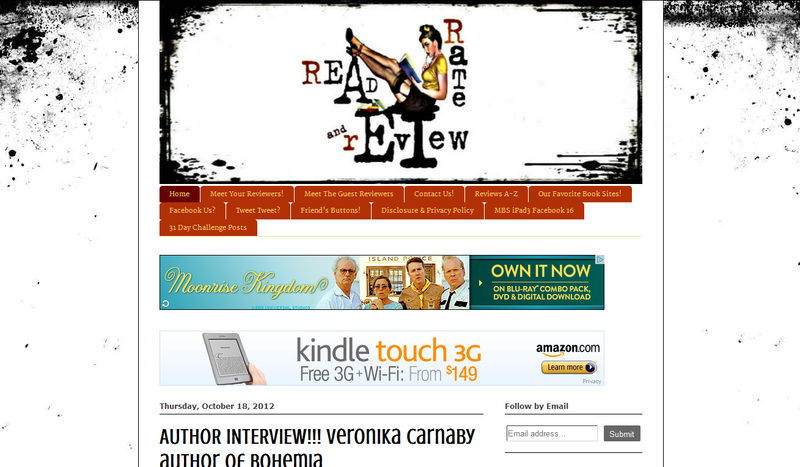 Read both the REVIEW [SPOILER ALERT] and the INTERVIEW, now running live on the magazine's website.